How Instagram Marketing can Boost Brand Awareness! Instagram, which is getting popular day by day, is an online photo and video-sharing and social networking service that lets its users to snap photos and videos, utilize digital filters to them and share them with their friends through a number of social networking services including, Facebook, Twitter, Flickr, etc. Not only the social media users, but also most of the business like restaurants, boutiques, fitness trainers, etc., can also benefit from being active on Instagram. It is obvious that gaining a following may take some time. However, with clever social media strategy and effort, the businesses can take advantage of Instagram Marketing for reaching a large number of people in their area. As majority of user interaction happens on a mobile device, Instagram has started rolling out it’s own Business Tools – Instagram Analytics for Business profiles. This provides an impressive market to expand brand engagement. If you are having a visually appealing content, Instagram ads could prove to be very beneficial. Furthermore, Instagram marketing campaigns act as a social experience that acts as a channel for significant interaction, which in turn, ideally converts into a long-term relationship with the brand. Always make use of quality photos and videos: It is vital to include high quality pictures and videos when posting them with Instagram. It is the best way to get noticed among various users and enhance profile credibility. Rely on Hashtags for search: Using hashtags on social media networks is a strategic process. You are required to consider your brand and service offerings when utilizing hashtags. Think about your target customers and the hashtags they’re using when selecting the most appropriate + relevant keywords and categories on Instagram. Make regular updates: It is important for any business owner or marketer to remain active on Twitter, Facebook and other social networks, if they have dedicated their marketing plan to include certain social networks. Frequently check these networks to see any growth or return. In order to get noticed with Instagram users, be sure to like and comment photos of people in your region whom you follow. The advantage of remaining active with these people is that, they will notice you and may show interest in your business and brand. Thus, frequent posting is necessary as it allows users to stay engaged and become familiar with the brand. Content: No matter, people have heard of your brand before or not. 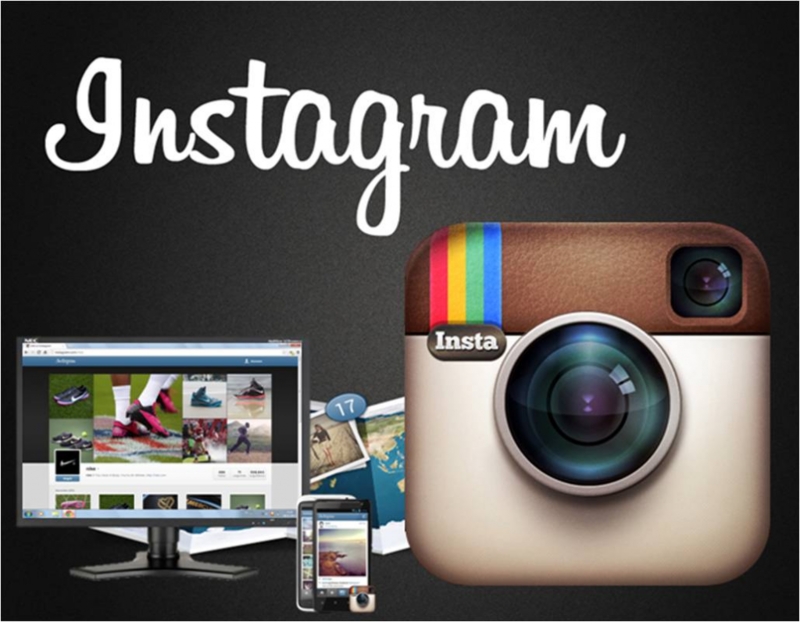 With Instagram you have the opportunities to showcase your brand with great creativity to a large number of people. Get content inspiration from different Instagram accounts from larger brands that you can relate with. Instagram offers to several ways to portray your business message using little creativity. Post original content and employ a firm tactic for the photo-sharing mobile app and stick to it. This way, you’ll have increased chances of gaining a huge following of people who know enough about you to perhaps refer you or eventually purchase from you. Use sponsored ads or buy Instagram followers: Most of the Instagram users are open to the idea of sponsored ads, which appears in their feeds. As the content from branded businesses is usually of high quality and appealing, users don’t mind looking at it. Thus, if you want to reach new followers and expand your brand’s community, sponsored ads can really be of great help. Moreover, by searching on web, you can find a lot of sites including Instaboom that help you to get real followers and various packages at very affordable prices. So, by utilizing the above mentioned techniques, one can surely able to minimize effort spent, while maximizing brand engagement on facebook. Chris, a professional author and blogger is sharing his views on Instagram marketing and various sites such as instaboom, providing quality followers and likes. He has good experience of advertising through Instagram and so he is pleased to share some important guidelines with other users.